Develop high-performing employees and stronger teams with 360-degree feedback insights that drive development, productivity and engagement. Launch expert-designed 360 assessments in minutes, with pre-built surveys and programs straight out of the box. Want to update the question set? No problem - our flexible survey builder lets you update them in no time, and even add advanced branching to show different questions to different groups, with no need to submit costly change requests to an outsourced vendor. Give managers instant feedback about their direct reports, get real-time progress updates to see which raters have completed their reviews, and access customized task lists. Quickly and easily see where to focus your efforts to develop your top performers. Managers receive real-time reports identifying strengths and areas for improvement for each team member. Plus, with built-in action planning, they have the tools they need to turn data into improvements and help their direct reports develop their skills. 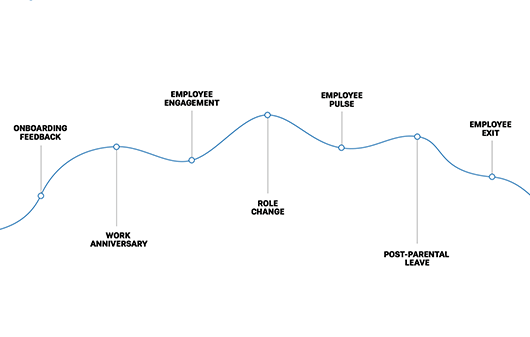 Ever wondered how staff development affects your key metrics like productivity, engagement and attrition? 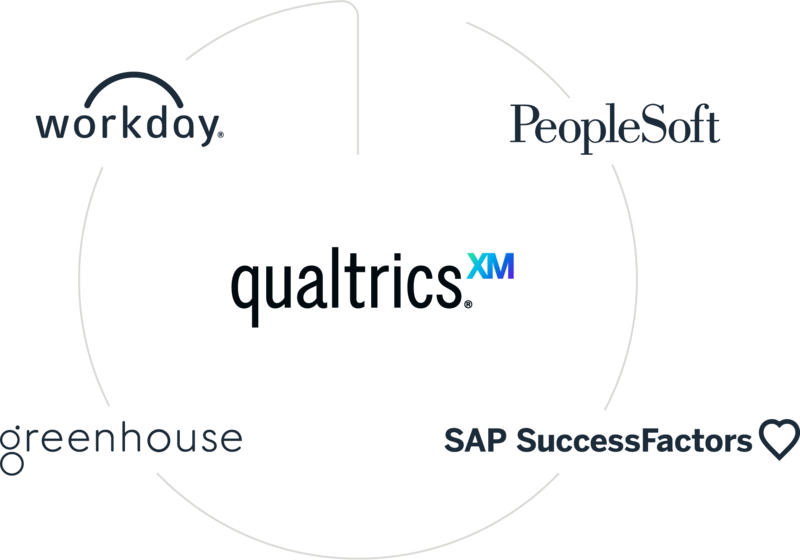 With the Qualtrics XM Platform™, you’ll have all your feedback and data from across the employee lifecycle on a single platform. So you can join the dots and see how your employee development initiatives are impacting the business and helping to keep staff engaged, productive and in-seat for longer. 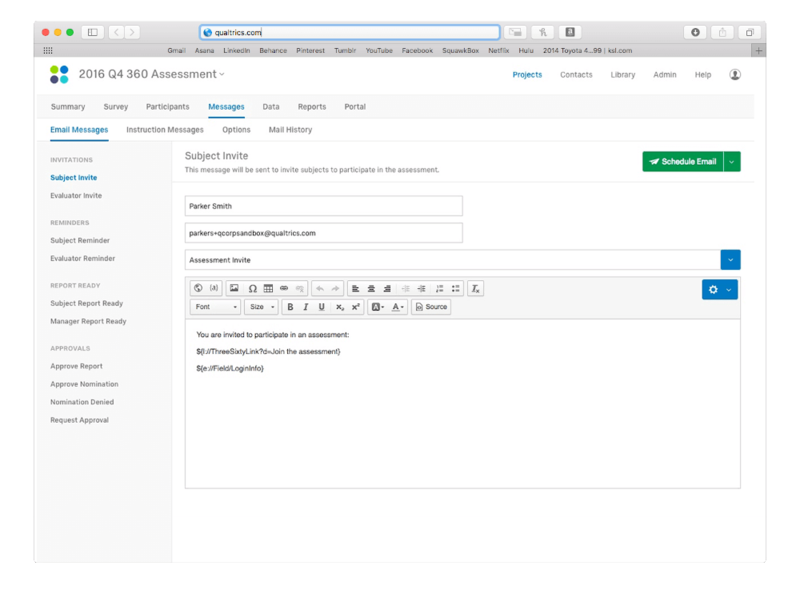 Save time on managing your review process with automated 360 reviews – with APIs into your HRIS, requests and reminders for employee feedback are sent out automatically so you spend less time managing the 360 process. 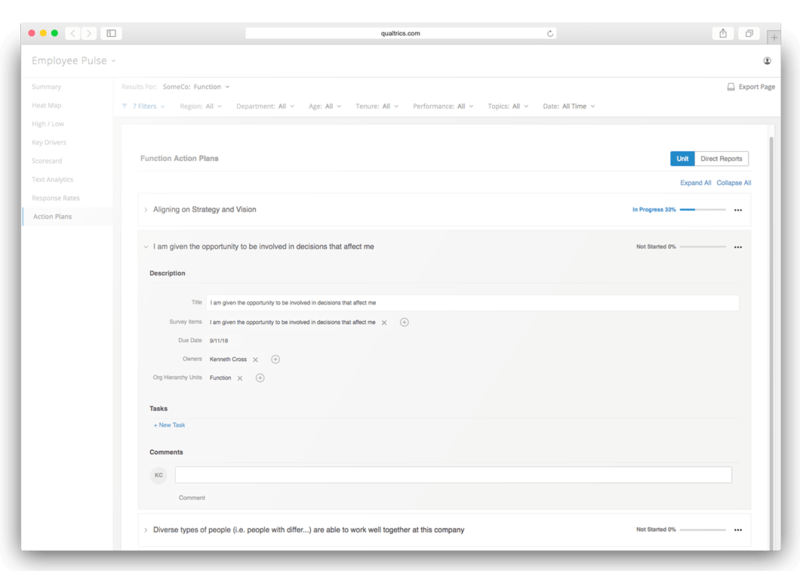 Qualtrics Employee Experience platform integrates with leader HRIS platforms such as Workday, PeopleSoft, Greenhouse, SAP SuccessFactors and others with APIs. Enable leaders at every level of the organisation to drive change and monitor progress. With customisable and pre-built action plans, managers can set due dates, collaborate with other leaders or team members and outline the specific tasks they need to complete to achieve results. You’ll be able to keep them on track too with action planning reports that make it easy to track progress by team, department, and topic, so you’ll be able to see where you need to focus your efforts to help managers drive through their improvements. What are 360 Feedback Assessments? Sometimes referred to as 360 reviews or 360 assessments, 360-degree employee feedback provides a holistic view of an employee through a process of by gathering feedback from an employee’s manager, peers and direct reports. Occasionally, external consultants or vendors who work regularly with the employee are included as well. 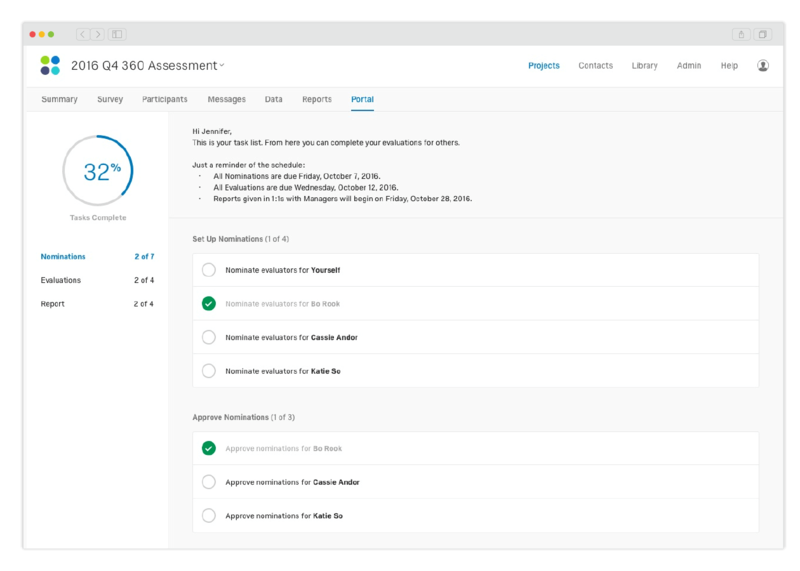 Simply put, 360-degree multi-rater assessments address important competencies and provide opportunities for managers, peers and direct reports to provide important developmental feedback that they may not otherwise share.